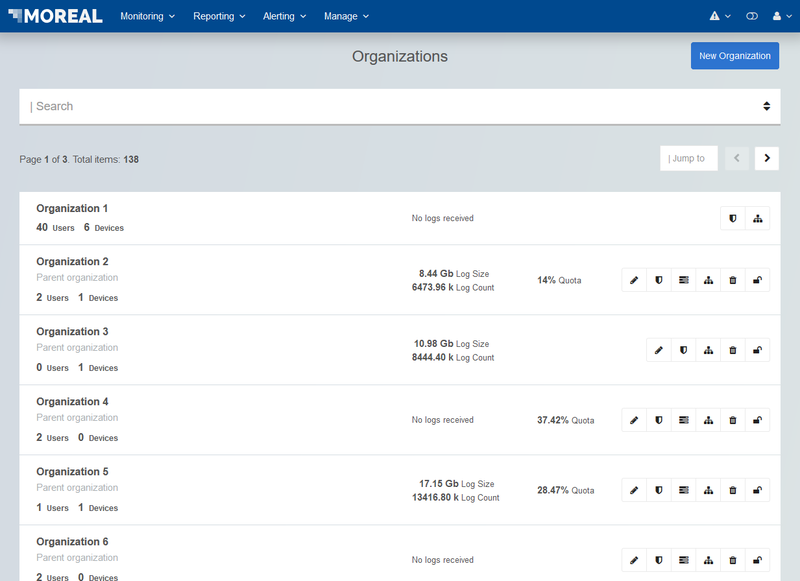 In the Organizations overview screen you can add, edit, remove or lock an organization. 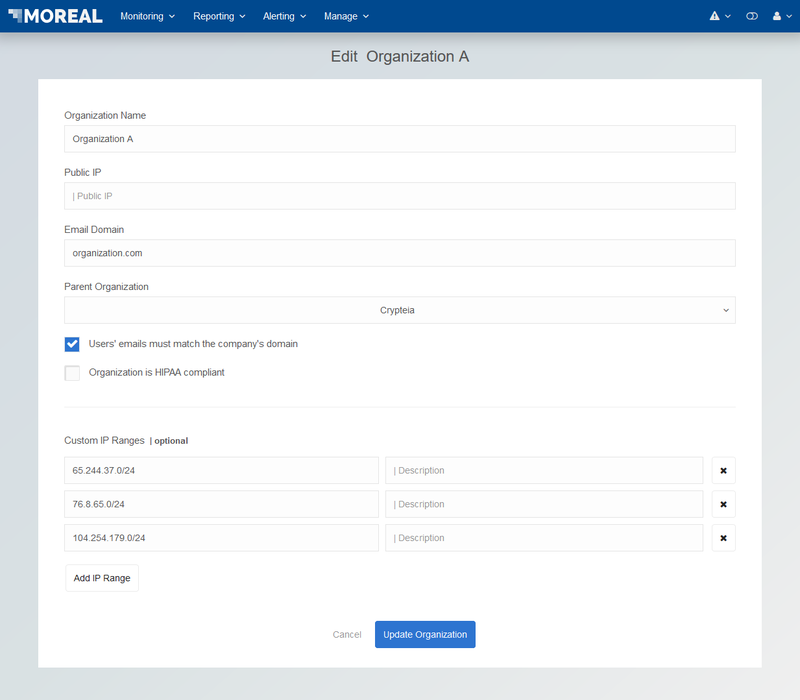 To edit, remove or lock an organization you have to use the action buttons located on the far right of each row in the table list in the Organizations overview screen, as shown below. For your convenience, tooltips appear when hovering over the buttons with your mouse cursor. To lock an organization click on the button that illustrates a lock Locking an organization temporarily disables access to all users that belong to this organization. To add a new organization, click on the New Organization button on the top right of the screen. The organization email domain should be checked if users that are added to the organization are forced to use the organization’s domain email.